The 1st Annual Sacred Heart Area School Workathon took place on Wednesday, October 15, 2014 starting at 12:00pm and ending around 2:30pm. The Workathon replaced the Marathon, where in the past, students rode bike or walked for pledges. Instead the children and their parents reached out to family, friends, and neighbors for donations to the school for their service the day of the Workathon. As Christia ns, we are called to serve God and His people. Our Workathon facilitates just this, benefiting both the Staples community and Sacred Heart Area School, while providing a service experience for our students. 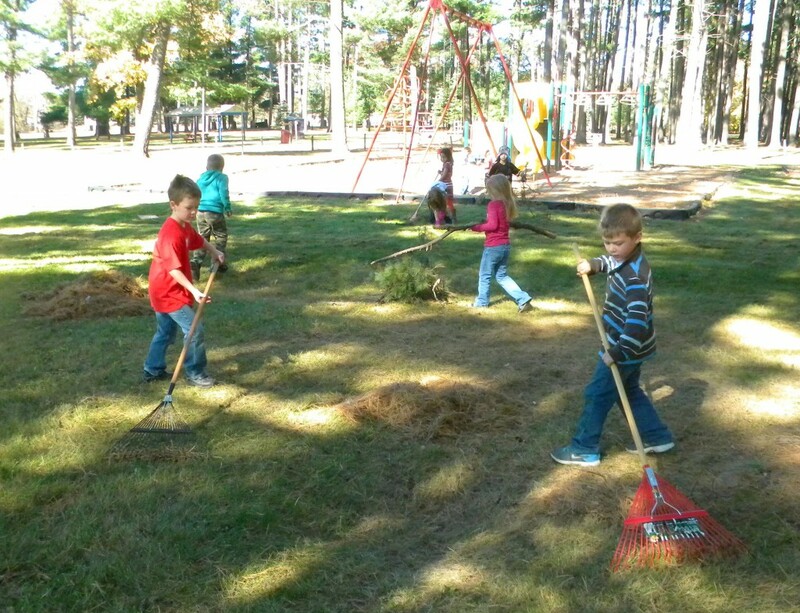 Parents, staff, and students in 1st, 3rd, and 5th grades worked at Pine Grove Park, 2nd grade worked at Veterans Park, 4th grade at Northern Pacific Park, and preschool and kindergarten on the school grounds, picking up sticks and raking leaves and pine needles. The event was enjoyed by all. Thank you families for raising money for SHAS and thankyou members of our families and community for donating to the efforts. 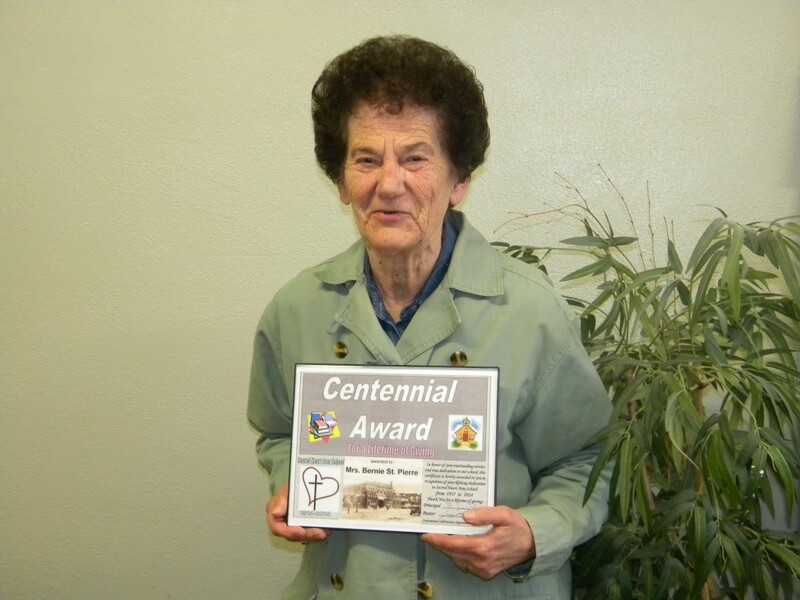 On September 12th, 2014, during the SHAS Centennial Reception recongnitions, Mrs. Bernie St. Pierre was awarded the Sacred Heart Area School, first ever, Centennial Award for a lifetime of giving. Mrs. St. Pierre started teaching at Sacred Heart in 1957. When called upon in 1975, she took on the role as principal / teacher, where she continued to work for the good of the school until she retired in 1993. 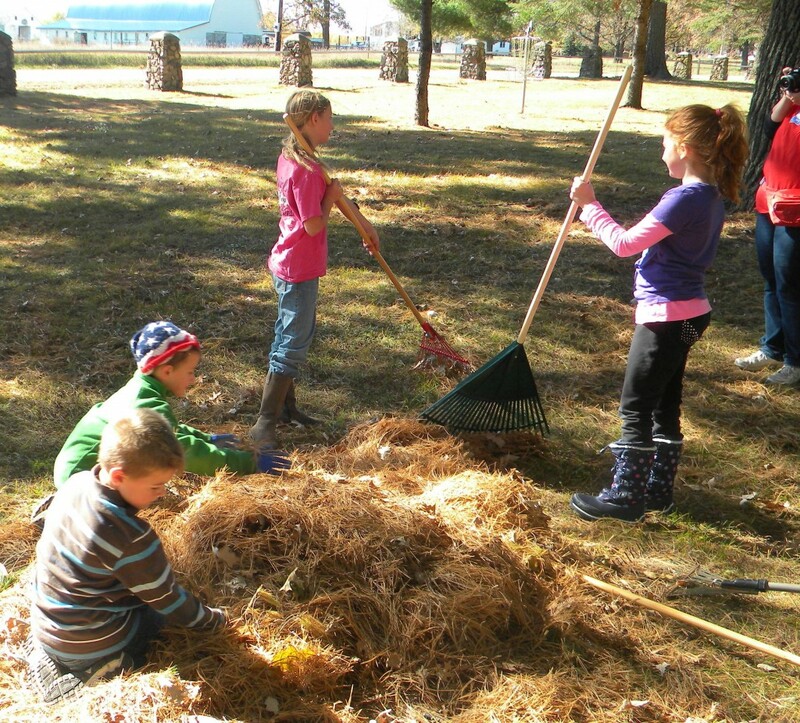 Even after retirement, she continues to this day working for her school, church, and community through many volunteer works, in many organizations. Mrs. St. Pierre, we so greatly appreciate you, and love you so much! 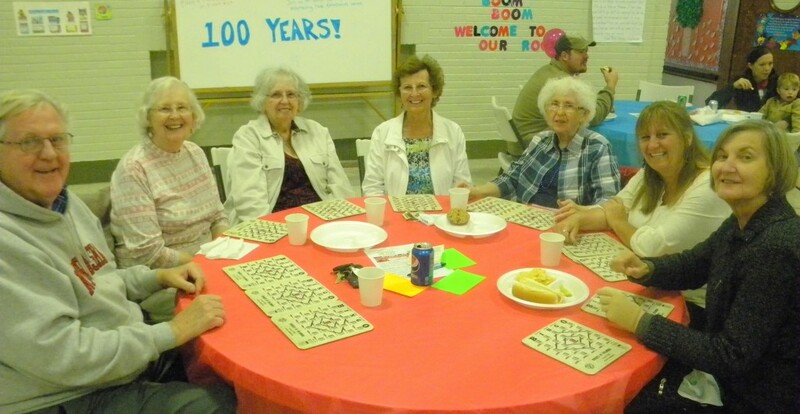 The Sacred Heart Area School Centennial celebrations were emjoyed by many from the school’s students, families, current and past staff, alumni, fellow parishioners and community members. Celebrations started with the centennial Mass with Bishop Kettler, which was followed by a reception in the church basement. The picture below (left) is: Recessional at closing of Mass. From Left to right, all dressed the same: Fr. Lauren Germann (former Sacred Heart Pastor and Sacred Heart Area School Alumus), Fr. Tim Wenzel(former Sacred Heart Pastor) , Fr. Joseph Korf (current Sacred Heart Pastor), Fr. Peter Kirschner(former Sacred Heart Pastor). Behind Priests is Bishop Donald Kettler of the Diocese of St. Cloud. 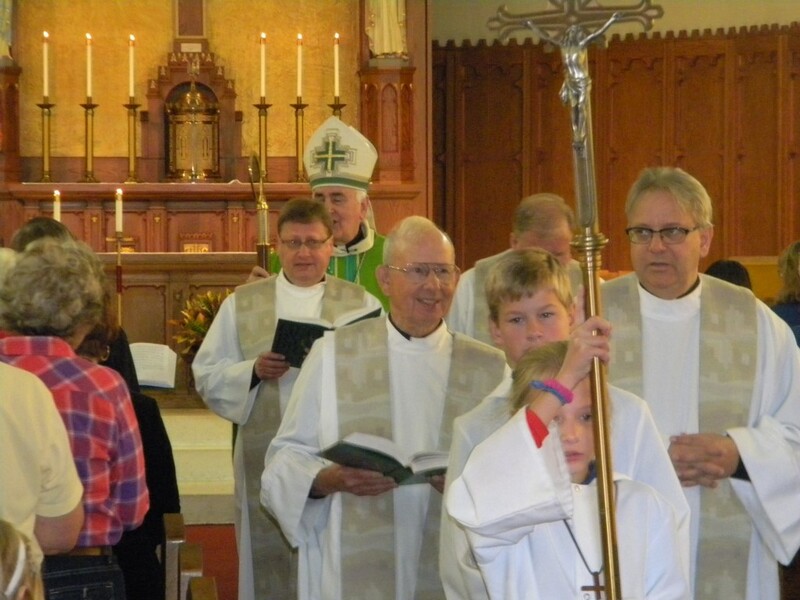 Altar servers (SHAS students): Morgan Becker (front) followed by Mitch Lisson. Musicians are pictured in bottom photo. 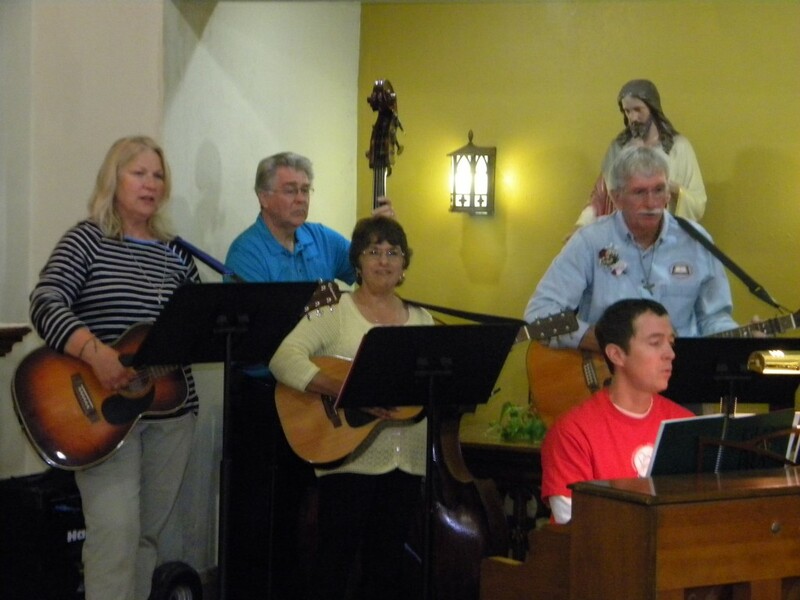 Special thanks to Mike Blessing, Nate Mathews , John and Judy Wolak, Janelle Thompson, and Pat Held for bringing beautiful music to the Mass. 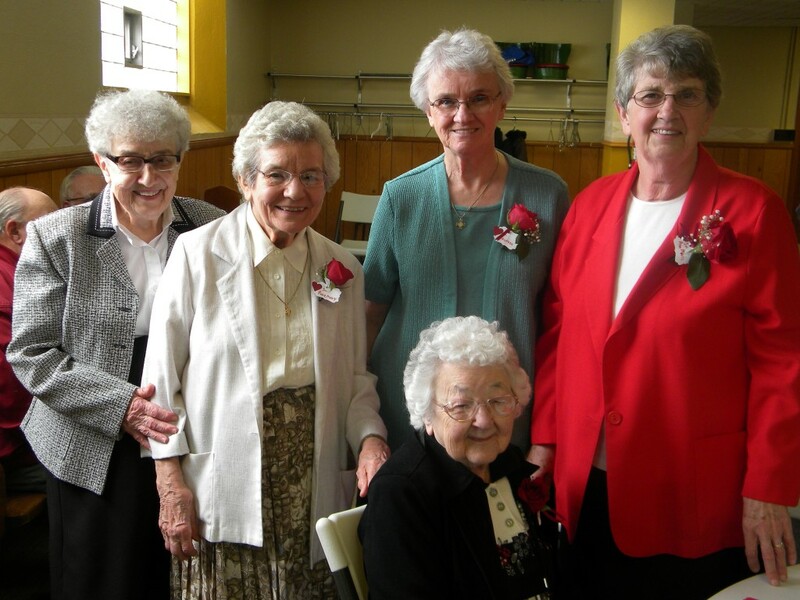 Sisters who taught at Sacred Heart (all prior to 1975) were recognized at the centennial reception, for their hard work and great acts of love for the school’s mission and its students, and great example they set for so many. Principals of Sacred Heart Area School were recognized for their contribution of leadership through the years. Left to Right: Sr. Ann Marie Biermeier (1973-1975), Mrs. Bernie St. Pierre (1975-1993), Ms. Laurie Lauder (1993-1996), Mrs. Maria Heymans-Becker (1996-1999), Mr. George Heroux (1999-2002), Mrs. Sheila Seelhammer (2002-2007), Mr. Pat Held (2007-2008), Mr. Jim Opelia (2008-Present). 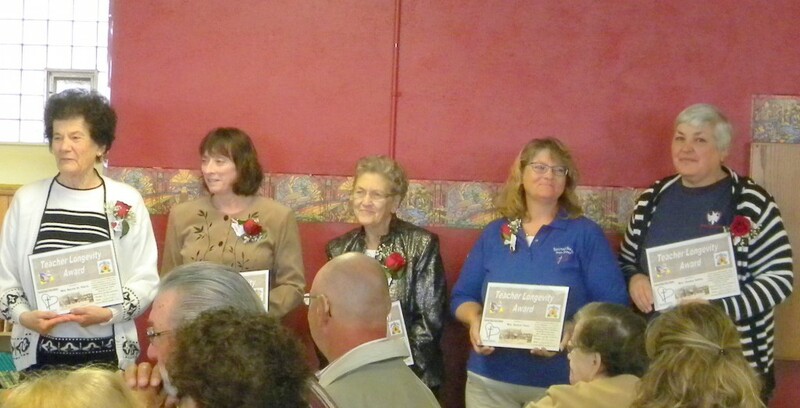 Sacred Heart Area School Teachers who contributed over 20 years of teaching were recognized for their years of service. Left to Right: Mrs. Bernie St. Pierre, 36 years (1957-1993), Mrs. Laurie Lauder, 22 years (1983-2005), Mrs. Lorraine Trout, 22 years, Mrs. RoAnn Trout, 26 years (1986-Present), Mrs. Gladys Salthe, 30 years (1975-2005). Mrs. Bernie St. Pierre was also awarded the Centennial Award for a lifetime of giving to Sacred Heart Area School from 1957-present. Friday afternoon, students enjoyed a dance in the school gym to celebrate the school’s 100th birthday. Alumni and former staff had an opportunity to visit their old school. 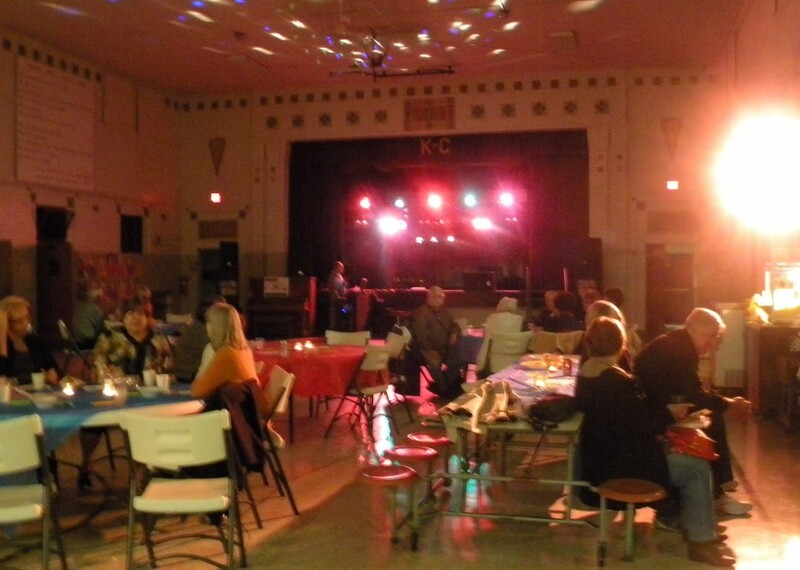 Friday evening, Alumni and friends enjoyed a centennial dance/social. Alumni and friends enjoy dancing and fellowship on Friday evening in the schoool gym. Saturday, families were invited to celebrate with bingo, bouncy houses, pony rides, a petting zoo, and great food. The above photo is of son n’ law, 5 daughters (SHAS Alumni), and 1 grandaughter of alumnus, Lillian M. Jackson. 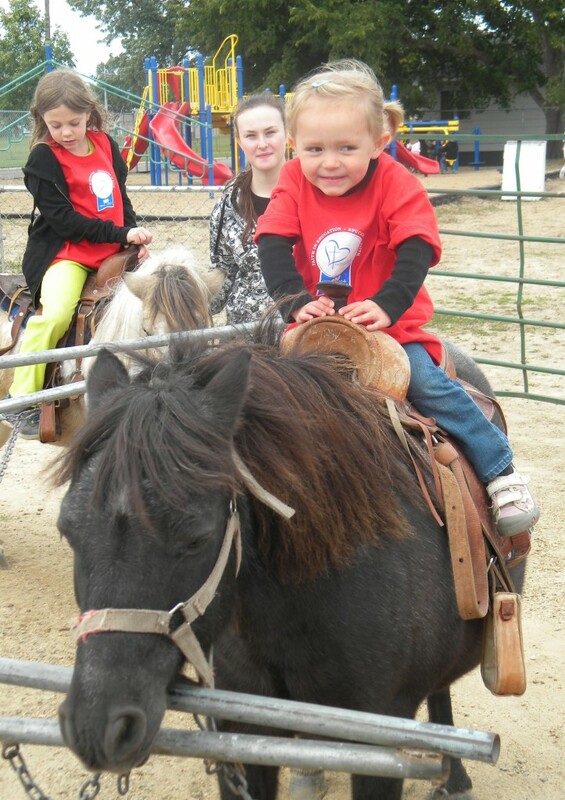 Top left photo is Charlie Noska and Ashlyn Vogel (SHAS students) enjoying pony rides. 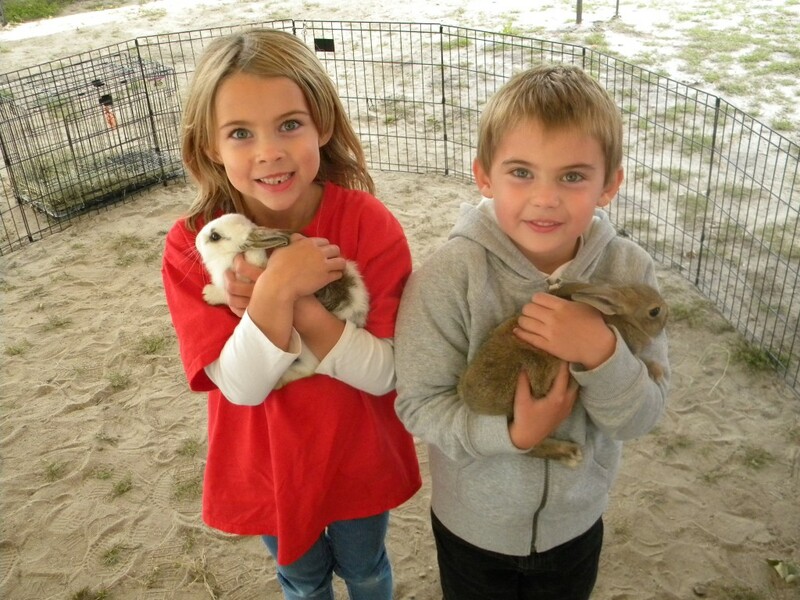 Top right photo is Lexi and Joey Opelia (SHAS students) enjoying the petting zoo.